Des Moines, Iowa (June 27, 1974) - The Firecracker Twin “100”, the IMCA sanctioned new-model stock car race at the Iowa State Fair grounds, Wednesday night, July 3rd, is an important race to all drivers with aspirations for finishing in the top ten of the official IMCA point standings. While it is still early in the season, the Firecracker Twin “100” being the third race, point battles are shaping up, competition is aligning itself, and the importance of this dual racing feature with a possibility of amassing over 200 valuable IMCA points, grows in stature. 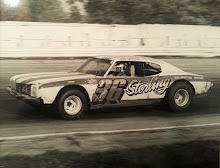 Gordon Blankenship of Keokuk, Iowa, the 1973 defending stock car champion is currently in second place in the official point totals. 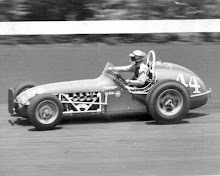 Gerry Harrison, the Jayhawk speedster from Topeka, Kan., is currently number one and “the man to beat.” Harrison has been in first place before and even held that distinction just prior to the old Iowa “300” in 1972. A blown tire, with less than 10 laps to go, cost Harrison both his first place ranking and the race. Harrison though, is a capable competitor and a feature threat in every race he enters. He is a stock car circuit. 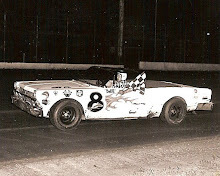 In 1971, Harrison completed that year's campaign with a fifth place finish and had one feature win to his credit. 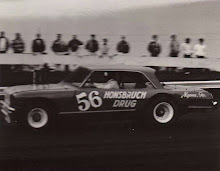 In 1972, he moved up in the standings to a second place season’s finish with three feature victories in his credentials. 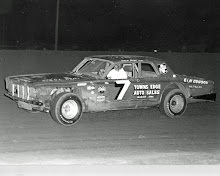 1973 brought some tough luck and a fourth place ranking at the season’s end, with one feature win to his credit. Harrison has been denied the championship for some years now. He could feel that 1974 is the year to “bring it all back home.” Harrison chauffeurs a 1972 Monte Carlo. National Speedways Inc., will promote the Firecracker Twin “100” and a gigantic fireworks display will immediately follow the racing action. Ticket prices are $3.50 for box and reserved seats, $2.50 for general admission, and children under 12, $1. Tickets may be purchased at the National Speedways office on the Iowa State Fairground, Foreman and Clark, and the Park Fair Sports Center in Des Moines, or by sending your ticket request, check and self-addressed, stamped envelope to Firecracker Twin “100”, Box 209, Des Moines, Iowa, 50301.